Many employers tell us they’re not sure what the difference is between Unfair and Wrongful dismissal. They are both common employment law terms, although they are not interchangeable as is often thought. To avoid confusion, below we outline what each term means. The right not to be unfairly dismissed is a statutory right. An employee earns this right after two years’ continuous service. This right can only be enforced in a tribunal and an employee cannot bring an unfair dismissal claim before they have accrued two years’ continuous service. The tribunal will also examine whether the employer was reasonable in using the selected reason as grounds to dismiss the employee, and whether or not the employer followed a fair procedure. Where a tribunal finds that an employee has been unfairly dismissed, they will typically award a sum made up of a basic award plus compensation. This compensation will take into account future loss of earnings and other losses caused by the unfair dismissal. There is no statutory right not to be wrongly dismissed. Wrongful dismissal is actually a breach of contract. There is no minimum length of service applicable to wrongful dismissal. Wrongful dismissal can occur if an employee is dismissed without notice or without the notice period as set out in the employment contract. A wrongful dismissal claim can be heard in the County Court, the High Court or in a tribunal. Where it is found that an employee has been wrongly dismissed, the court or tribunal does not consider whether the dismissal was made on reasonable grounds. The decision is simply made on whether the terms of the employment contract were breached. If wrongful dismissal is proven, damages will be awarded. The amount awarded typically amounts to the value of pay and benefits lost by the employee during the contractual notice period. If you need help with a dimissal situation, or would like advice on any HR issue, contact us to discuss your needs. 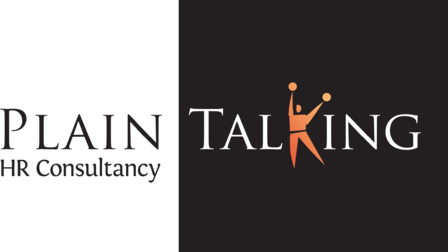 For all your HR advice and support whether in Luton, or anywhere else in the UK, look no further than Plain Talking HR.